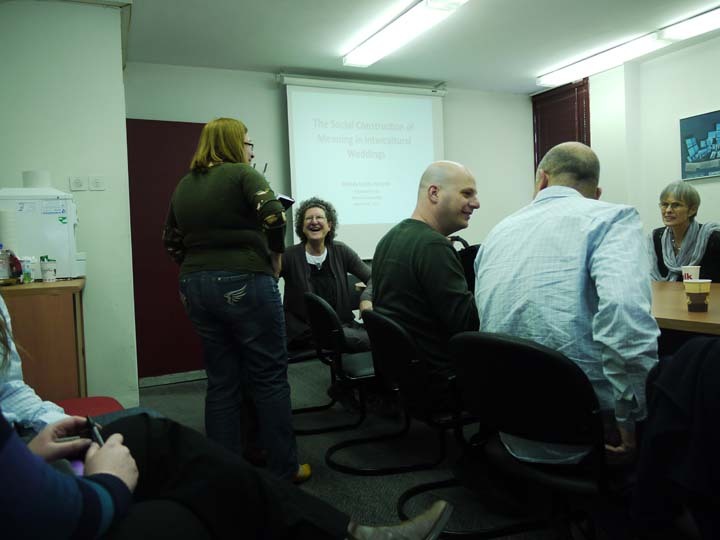 The Noah Mozes Department of Communication and Journalism at The Hebrew University of Jerusalem invites outstanding candidates to apply for tenure-track positions starting July, 2014. These areas complement the Department’s strengths in internet research, political communication, journalism, cinema and culture. The successful applicant will join a dynamic research-oriented faculty offering innovative undergraduate, graduate and doctoral programs. For more information about our faculty and research please visit the Smart Family Institute of Communications website. Prof. Esther Schely-Newman, Chair (msetti AT huji.ac.il). Mount Scopus, Jerusalem 91905, Israel. Letters of recommendation should be sent directly to the above address, or to msetti AT huji.ac.il. Deadline for applications: September 30th 2013. 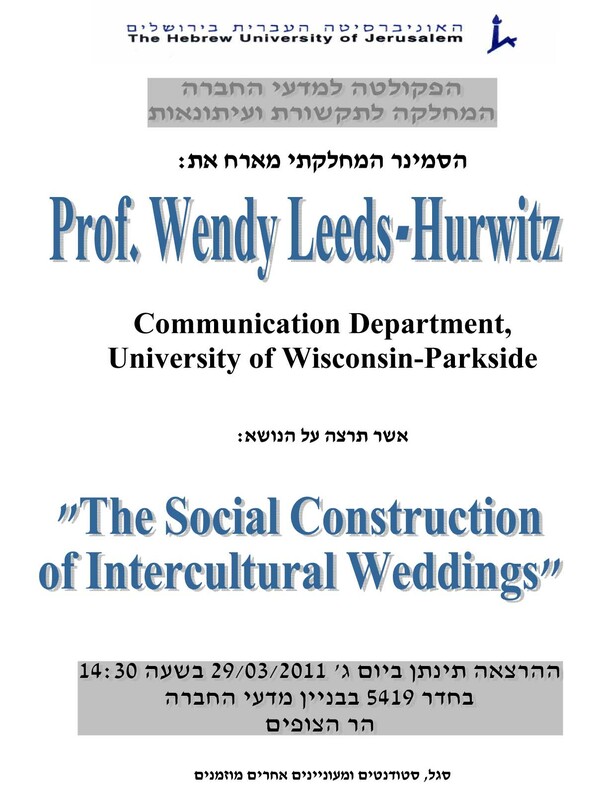 On March 29, 2011, I gave an invited presentation at The Hebrew University of Jerusalem entitled “The Social Construction of Meaning in Intercultural Weddings.” This was the first of a series of talks this spring, as I travel to Israel, Azerbaijan, China, and Japan, making connections for the Center as I go. This photo was taken as the talk was getting organized. It includes Dr. Carmel L. Vaisman, Prof. Wendy Leeds-Hurwitz, Dr. Zohar Kampf, Prof. Tamir Sheafer, and Prof. Tamar Liebes. My thanks to Limor Shifman for organizing the event, and Esther Schely-Newman for helping to make it happen.